When selecting among varieties of dried cannabis at a dispensary, members will often ask to smell the particular strain for it’s signature scent. The musky smell commonly associated with the Kush family comes from an abundance of a terpene called Myrcene, known for it’s sedative effects, also found in hops (Humulus), the only other member of the Cannabaceae plant family. The Piney smell is Alpha-pinene (essential pine oil), known to promote alertness and memory retention. Lemoney sativa strains contain limonene, which anecdotal evidence suggests is “sunshine-y,” and is also found in, you guessed it, lemons. Terpenes are aromatic compounds that are produced alongside cannabinoids in the rosette of cells that holds up the head of the trichome (fig. 1). Most of the terpenes that create the many scents of cannabis are shared among the plant kingdom. 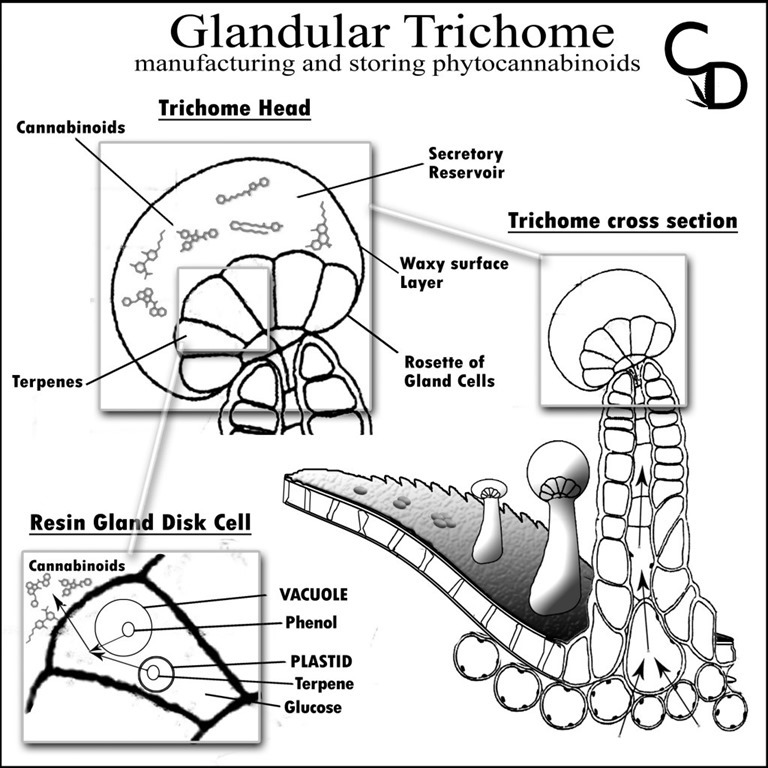 The Aug. 2011 British Journal of Pharmacology: Cannabinoids in Biology and Medicine, Part 1 includes numerous articles exploring the nature of the cannabis plants’ chemical dynamism. In the article “Taming THC,” scientists explored how these aromatic oils synergize and mitigate the active cannabinoids contributing to an entourage effect. Traditional responses to cannabis induced anxiety include sniffing pinene-rich black pepper, limonene-rich citrus, and calamus root high in myrcene. 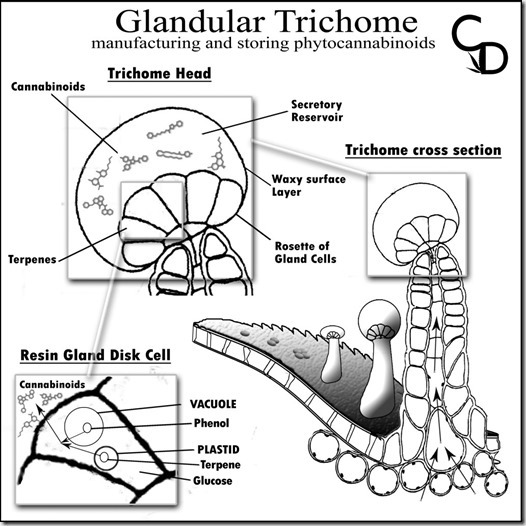 “Cannabis terpenoids and flavonoids may also increase cerebral blood flow, enhance cortical activity, kill respiratory pathogens, and provide anti-inflammatory activity.” (source) Ed Rosenthal, author of many books on cannabis, relates that the myrcene in mangos can increase the quality of low potency cannabis when eaten one hour before medicating. A study launched by David Watson and Robert Clarke for Holland based research company Hortipharm found that terpene-infused resin with 50 percent THC was more potent by dry weight than an equivalent amount of pure THC. Terpenes break down over time, if you can smell it, you’re losing it. Some terpenes are volatile below room temperature: smaller, lighter terpenes (monoterpenes) like myrcene and limonene evaporate faster. Bigger, heavier terpenes (sesquiterpenes) like caryophyllene don’t evaporate as quickly, and represent a larger percentage of the oil after drying. (Study) Careful handling and storage can help to prevent the breakdown of the cannabinoids and terpenes, choose a cool, dry, dark place (out of the reach of children and pets) to store your cannabis in a sealed container. Leading the way on terpene identification is Green House Seed Company in Holland who have performed spectral analysis of each of their strains identifying 16 different terpenes. 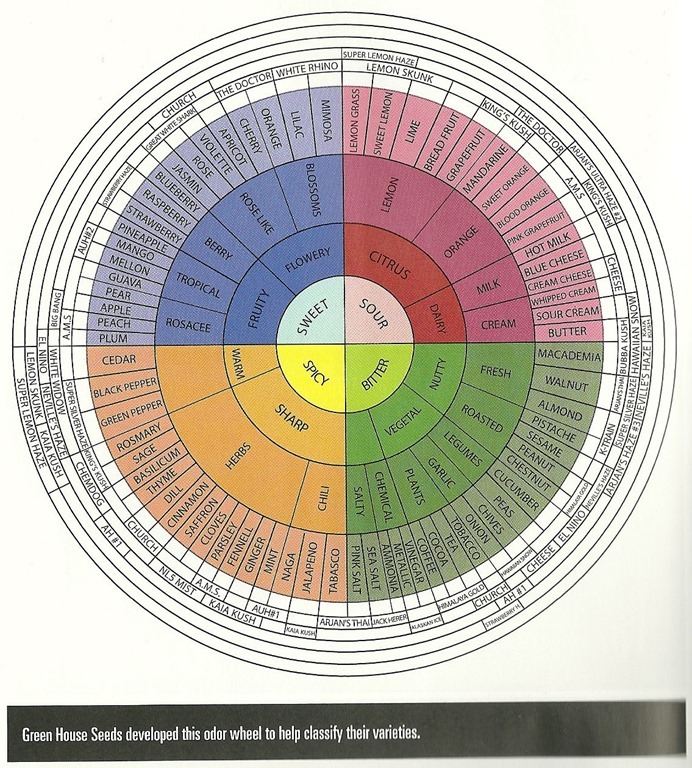 They have developed an odor wheel to help individuals decide on their strain of choice. LiftCannabis.com offers a system by which you can select your strains by the flavours. 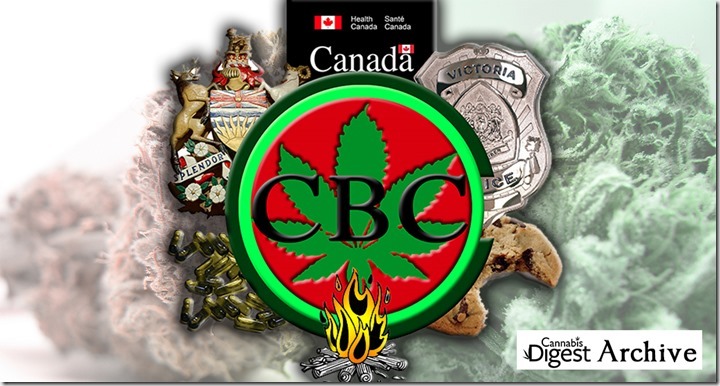 Playing ‘What If.’ A Preface to Public Debates on Regulating Cannabis.